The shipbuilding industry in Maine produced everything from early clipper ships to World War II destroyers to today's custom yachts. Until the 1990s, asbestos was used extensively for its fireproofing and anti-corrosive qualities, but it left so many workers in the building industry vulnerable to its harmful health effects. Shipbuilding, one of the oldest industries in Maine, is a tradition that dates back more than 400 years. Shipbuilding also ranks among the most dangerous industries in America for exposure to asbestos, a mineral which once was considered vital to the building and operation of seaworthy vessels. 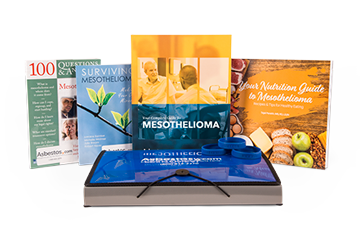 It’s a major reason why at least 433 Maine residents died of malignant mesothelioma and other asbestos-related diseases from 1999 to 2013. With more than 200 miles of Atlantic Ocean coastline, the water always has provided a thriving way of life in Maine. Much of the asbestos exposure in shipbuilding took place before the turn of the century, but the long latency period associated with asbestos-related diseases still leaves many alive today at risk of developing a condition. 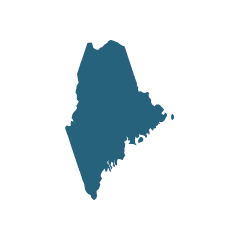 Like many states, Maine has a number of regulations regarding the handling and disposal of asbestos. Among those laws is one that requires the Department of Environmental Protection to be notified whenever work will include a piece of asbestos greater than three square feet in size, and that it must be done by licensed professionals. Maine also has its share of chemical plants and paper mills, job sites once known for their extensive use of asbestos materials. There are no state laws requiring the removal or repair of asbestos-containing materials, except in schools. Asbestos never was mined actively in Maine, but there is an asbestos mining prospect in the western part of the state and a higher-than-normal asbestos-related illness rate surrounding the area. There are a few other naturally-occurring asbestos deposits in the state. Maine also borders Quebec, Canada, where asbestos mines operated for generations. Maine has its share of occupations that put workers at risk of asbestos exposure. Anyone who worked in paper mills, power plants, shipyards, military bases and iron foundries in Maine may have been exposed. Power plant employees often worked around machinery and equipment lined with asbestos insulation. Turbines and generators, along with the gaskets, valves and pumps that made them go, were covered in asbestos, which insulated those parts against heat and possible fire. Paper mills that used heavy machinery to turn sheets of pulp into paper inadvertently were exposing workers to asbestos through the insulation materials that were used to prevent overheating. In 2018, the U.S. Environmental Protection Agency expressed concerns about demolishing the Stenton Trust Mill complex in Sanford, Maine because of asbestos contamination. The mill caught fire in 2017 and the EPA came in to assess the damage, which is when they found asbestos. The EPA held a town meeting to discuss the necessary asbestos removal project before demolition. The first asbestos case to reach a jury trial in Maine involved Blaine Austin, who painted pipes at Bath Iron Works after asbestos insulation was applied to the pipes. Austin also swept up the floors after the insulation workers applied asbestos. Austin died of mesothelioma in 1977 and his wife later filed a lawsuit against sixteen asbestos manufacturers, who made products that Austin worked with throughout his career. All but two of the defendants settled out of court, including Raybestos-Manhattan Inc. and Unarco Industries Inc. The judge precluded some of the plaintiff’s claims because the asbestos products involved were sold before Maine passed its products liability law in 1973. In 1981, after five weeks of trial, the jury ruled that while Raybestos and Unarco were guilty of negligence, Austin was equally guilty of negligence for failing to wear a respirator. Recovery was thus barred under Maine’s comparative negligence statute. In a historic decision following a change in Maine’s product liability law, a U.S. Circuit Court of Appeals in 1983 ordered a federal judge to review the ruling to determine if a retrial was warranted. The federal judge ordered a retrial of the case, and it changed the direction of asbestos litigation in the state. Inclusion of the plaintiff’s originally precluded claims changed the course of the verdict in favor of the plaintiff. Austin’s wife won a wrongful death verdict of $323,456. James Crowley and Emile Richard, two former paper mill workers in Maine, filed separate lawsuits in 2006, but neither held the mills where they worked responsible. Their litigation was against two dozen businesses that provided asbestos products that were used at the mills. Crowley worked at the former Oxford Paper Mill in Rumford, Maine, for three years, while Richard worked at International Paper in Jay, Maine, for 35 years. The outcome of the case is unknown. There are 14 industrial or military sites in Maine placed on the National Priorities List (NPL) as part of the Superfund law, which was passed by Congress in 1980 in response to the improper disposal of hazardous substances. Only after a preliminary investigation indicates that federal involvement is warranted is a site placed on the list. Asbestos was listed as one of the contaminants at both the Brunswick Naval Air Station and the Portsmouth Naval Shipyard in Kittery, along with the Eastern Surplus Company in Meddybemps. In addition to Superfund sites, Maine is also home to a Brownfield site contaminated with asbestos. According to the U.S. Environmental Protection Agency (EPA), brownfields are properties that may contain a hazardous substance, pollutant or contaminant. Maine faces a number of challenges with the asbestos present in the state. Demolition of an EPA brownfield, the Forster Manufacturing Co. factory in Wilton, was halted in July 2011 after airborne tests revealed the building contained high levels of asbestos. The Occupational Safety and Health Administration (OSHA) performed the tests, which returned higher than permissible levels of asbestos for workers to be present. About 10 demolition workers were asked to leave the job site. Other people may have been exposed at the factory prior to demolition. A fire occurred in the plant just before demolition started. The police officer and firefighters who responded to the fire could have been exposed to airborne asbestos. Leaving the factory’s asbestos untouched posed no threat to the public, the demolition and subsequent fire released asbestos into the air. An asbestos expert who worked in Maine for 30 years said it was the worst asbestos site he had ever seen. More than $100,000 has been spent to abate asbestos in the factory, and more asbestos must be abated before demolition can continue. The town is using a series of grants to pay for cleanup and will likely apply for a separate brownfield cleanup grant to finish the job. Austin v. Unarco Industries, Inc., et al., 705 F .2d 1 1984 A.M.C. 2333 (1st Cir., 1983). Austin v. Raymark Industries, Inc., 841 F .2d 1184 56 USLW 2616 (1st Cir., 1988).